Who are the top daily options this week? We preview two bowl games being played this Friday. Who are some players you should target in your daily lineups this week? 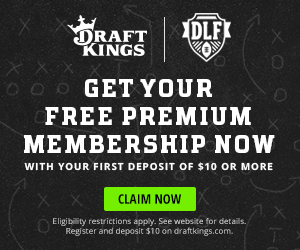 We look at some good deals on DraftKings this week. We cover some nice bargains for DraftKings this week. Who are some of the best daily fantasy options this week? We pick out a top daily option at each position. Who are some of the best daily options this weekend? We pick out some cheap daily options for your week nine lineup. Who can you add to your daily lineups this weekend? We pick out a top option at each position for your daily lineups this week. We pick some of the top daily options this weekend. Which players should you have in your daily lineups in week five? We pick out some of the best daily options for your week four lineup. Which players should you target in your daily leagues this weekend?